To select ball valve to stop and open the flow of fluid are because of some reason, such as the fluid flow is no need to control the flow speed acurately. Carbon steel material is used because of the fluid no need other stronger material because of the kind of fluida do not attack the material. Carbon steel material is suitable for water fluida and other normal fluida. Carbon steel ball valve suitable for high pressure fluida and there are several thickness for variable fluid pressure. 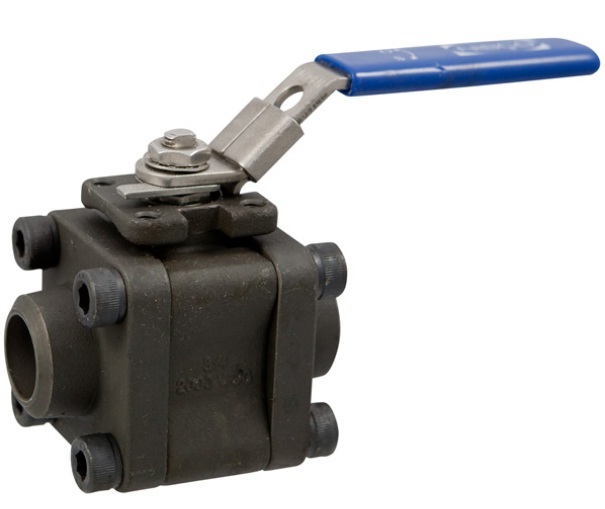 Standard ball valve design should produce with ISO mounting pad for actuation purposes. It need meets fire safe and anti-static requirements. Ball valve features is standardize by use lockable lever handle for security purposes. It may be used for isolation and throttling (half open to full open).